Aqualogic descale, disinfect, service and calibrate Thermostatic Mixing Valves (TMVs). 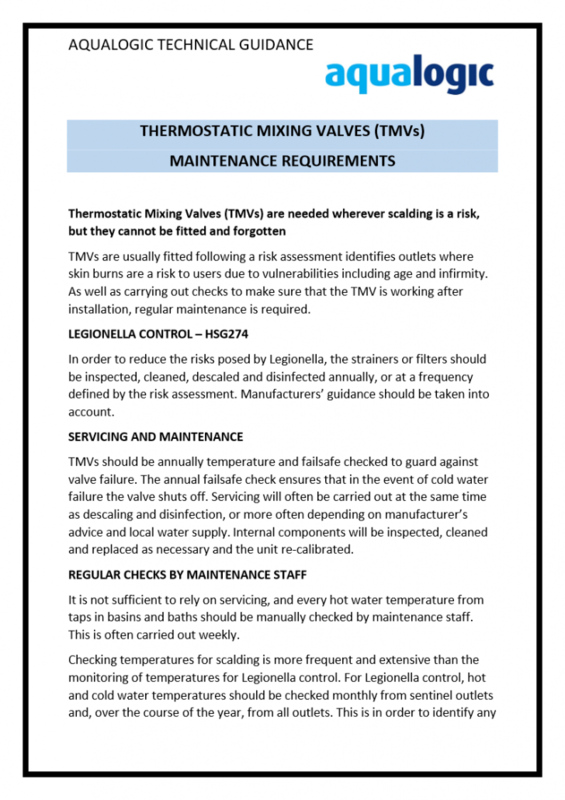 TMVs reduce the risk of scalding by accurately controlling water temperature through the blending of both hot and cold water just before it comes out of the tap, rather than by running your hot water system at a reduced temperature. Installing a TMV will benefit all types of user, but can be particularly helpful in the Healthcarehealthcare sector where the elderly or infirm may be at a greater risk of scaling. Legionella grows and multiplies in water temperatures that are between 20 – 45ºC, but is killed when temperatures exceed 60ºC. Naturally though, using water at this high temperature would be unsafe for skin contact and would result in scalding – once water hits 50 ºC it takes significantly less time in contact with skin to result in third-degree burns. 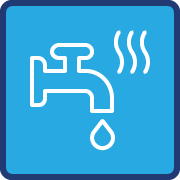 By installing a TMV, water can be stored at this high temperature known to prevent the growth of Legionella, but delivered safely to the skin once is passes through a cold water system just prior to reaching the tap. The frequency at which you will require a TMV check will depend on factors such as water hardness and how often it is used – we conduct regular maintenance checks to ensure that your TMV continues to operate at the optimal temperature of between 39-43°C. During servicing, we will check the operation of the valve and clean, descale and disinfect the strainers. Regular maintenance is vital not only to ensure that your TMV is still working, but to guard against any dirt that could lead the growth of Legionella and other waterborne bacteria. Legionella grows and multiplies in water temperatures that are between 20 – 45ºC, but is killed when temperatures exceed 60ºC. Naturally though, using water at this high temperature would be unsafe for skin contact and would result in scalding – once water hits 50 ºC it takes significantly less time in contact with skin to result in third-degree burns. By installing a TMV, water can be stored at this high temperature known to prevent the growth of Legionella, but delivered safely to the skin once is passes through a cold water system just prior to reaching the tap. 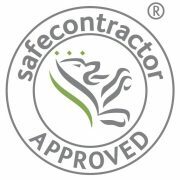 Contact us to speak about the benefits of installing a TMV, or to arrange for your current TMV to be serviced.